Facial hairs are not for everyone. While keeping a beard might work for certain people, it is not applicable to others. Maintaining a beard requires time and money – only a handful of people can afford both. Close shaving is the only other alternative available for any individual in the latter category. There are different ways you can get a close shave. Safety razor and beard trimmers are viable options. But nothing beats the use of a straight razor. They are economical and are not difficult to maintain. This in-depth article looks at everything straight razor; from learning the basics of this adept tool to picking the best straight razors on the market. Using the straight razor means you have to be familiar with certain terms. This is non-negotiable. You can’t be shaving with a gear you know next to nothing about right? Erm maybe you can, but it is confidence boosting being knowledgeable about the parts of your straight razor. Point – This is considered the apex of a straight razor. Different blades can have this part in different shapes. Your choice of a blade can affect the cutting ease of your straight razor. Edge – This is the cutting part of the blade. It could decide the efficiency of your razor. Shank – The arched segment between the tang and the pivot pin. It serves as the actual handle of a straight razor. Fluting – These are depressions on the shank for increased friction and better handling of the razor. Stabilizer – This is the metallic constriction separating the bulk of the blade from the shank. Face – This is the largest part of the blade. It is the segment between the edge and the back. Shoulder – This is the junction between the blade and shank. Toe – The apex of the edge of a razor. Tang – This is the curved part of the razor with a tapered end. It gives you some measure of control while shaving. Another benefit of this section is the balance it provides the razor. Heel – This is the segment between the shoulder and the edge. Back – Located just behind the edge, this segment of the blade is blunt and is not involved in cutting. Pivot – The tapered end of the blade revolves around this part of the straight razor. Clearly, it anchors the sliding of the blade into the handle. Handle – This is not a supportive segment but a protective one. You can’t hold the straight razor by this part, it won’t work. Rather, it serves as a house for the blade. Wedge pin – Keeps the two portions of the handle together. No two straight razors are the same. They would usually have different structural builds which could either improve their cutting frequency, durability or both. The section of a straight razor where a lot of these differences are observed is the blade. It is made of steel. However, the nature of the alloy varies. After forging, the thickness of the blade surface is not the same across all blades. While they all might have a sharp edge, the thickness of the face of the blade differs. A grinding exercise is undertaken to remove the excess metal. These have a thick slab of steel for a face. Their weight is severely affected by the quantity of the alloy available. This makes them quite difficult to wield. Also, there is a poor response to touch with these blades which might explain their extinction from the market. However, they have proved to be more effective at dealing with an aggressive hair growth. Most straight razors on the market have this type of blade. They have gone through a thorough grinding process. The result is a narrow blade surface which makes them pliable. This improves the sensitivity with the use of such straight razors. The problem is they are more delicate especially if the blade was ground excessively. It becomes susceptible to breakage during any exercise which strains the blade surface. Honing is a good example of such an exercise. To avert any sudden fracture of the blade, the stabilizer is present in most straight razors. French point – One side has a sharp edge. It has the appearance of an incomplete circle. Some experts see this point as an intermediate between the round and square points. Square point – This has one side of a square. The edges are sharp which makes the shaving of hairs in small areas possible. If you are just delving into the world of straight razors, you might want to avoid this point. It requires you possess some level of experience else you might nick yourself. Spanish notch – This has a depression in the middle followed by a sharp end on both sides. While this improves visibility and shaving, you are still likely to cut yourself if you’re not careful. Barber’s notch – The origin of its name can be traced to its benefits to barbers. They were known to use the straight razor in their shaving duties and found it difficult lifting blades of their handles. It is similar to the Spanish notch. The barber’s notch has pointed edges surrounding a deep center. However, unlike the former, these edges are rounded and not sharp. This might reduce the occurrence of injury while shaving but lacks the kind of precision offered by the Spanish notch. Fixed Blade – Just like the name says, this group possesses a blade which can’t be replaced. It’s the typical straight razor. You will need to hone and strop before shaving with one. Disposable blade – Yes, the razor is disposed of after each use. No honing or stropping required. It’s the perfect choice for those in a hurry. Blade construction – You should never underestimate the importance of your blade. It is one segment of a straight razor which could singlehandedly decide how your shaving experience goes. You need this to be of the finest quality. To making cutting possible, a straight razor’s blade is usually made of steel. There are different alterations of the alloy used. Some have a higher percentage of carbon in the steel. This makes sharpening their edge less stressful but a grave cost of increased susceptibility to rusting. Stainless steel blades have high resistance to rust formation but are more difficult to sharpen. You will also need to check if the blade is well tempered. An evenly tempered steel blade improves the cutting tolerance of a straight razor. It makes them tougher but at the cost of increased difficulty in sharpening. Stropping counts – Stropping isn’t a task anyone would enjoy doing. So pick a straight razor which wouldn’t take all the time in the world to strop it to perfection. Blade width – While the length of a straight razor can be ignored, the width can’t. It could bridge the gap between an amazingly close shave and a cut-filled shaving experience. 5/8” are commonly easier to wield making them the safer choice for beginners. The reverse is the case with the 9/16’’. They are more difficult to wield but deliver better results. 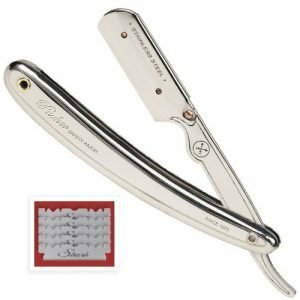 If you’re interested in the closest shave possible, the best straight razor is certainly what you need. No shaving tool comes close to what you get with this range of product. Besides the initial cost of obtaining a straight razor and a few accessories, honing is the only other recurrent expenses. This is unlike the use of safety razors and electric trimmers which requires the replacement of certain parts. There’s no disposal of waste accessories which could be non-biodegradable. This is in contrast to a safety razor which uses disposable cartridges. You can use a straight razor several times without the need to clean out facial hairs adhering to the blade. This not the same for a safety razor which has its cartridges clogged by facial hairs within a few seconds of use. Unlike other means of achieving shaving, the use of a straight razor takes time. You could spend as much as 30 minutes just shaving! This is a luxury many men can’t afford. Before you go on to use a straight razor, it has to be honed and stropped. That means you have to put in substantial effort in getting the tool ready for use. The best straight razor can be used as a weapon. Using it on your face puts you at risk of getting injured. You will need to be extra-careful when using this device. Besides the use of a straight razor, regular shaving can be done through other means. However, the safety razor is its closest substitute. Construction – Unlike the straight razor which has its cutting segment exposed, the blade of the safety razor is restrained. This makes it easier to shave without having to worry about nicking yourself. Blade dimensions – This is one of the more stand-out differences between a straight razor and a safety razor. While the straight variety has a long blade which revolves around a pivoted handle, the safety razor uses a short blade attached to a long handle. Accessories needed – A hone and strop are mandatory requirements for a straight razor. They make sharpening of this shaving tool possible. But with the safety razor, these are not needed. 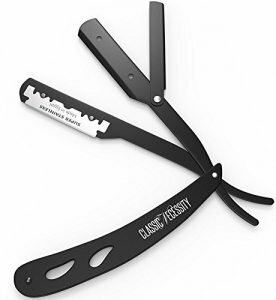 Classic Necessity, a company with a wide range of beauty products, is responsible for the production of this straight razor. Having a well-defined objective – to make their products attractive and effective – shows just how serious this business outfit is. Armed with an understanding of what works in contemporary markets, Classic Necessity is in this for the long-haul. One significant attribute of this straight razor is its stainless steel blade. Clearly, you don’t have to worry about your wet shaving habit affecting the durability of this shaving tool. This stainless steel straight razor uses disposable blades. Shark blades to be precise! They are actually quite sharp making this a worthwhile choice for anyone too busy to go through the rigors of honing and stropping a fixed blade. The blade sits firmly in its socket reducing the risk of accidents occurring. This shaving kit is available in different variants depending on the number of blades provided. Regardless of the variant, you opt for, the blades should last you a while. They are double-edged blades, so both sides can be used. You will also not have to worry about a dent in your finances which comes with purchasing new blades. You might have to be careful with the blade when shaving. Practically, it is vital you always use the razor at an angle. This way the sharp cutting edge is more effective at removing facial hairs with a much less probability of you nicking yourself. Another feature of this straight razor is its black metal handle. It has that feel of a premium quality shaving tool. You certainly want that since shaving is a routine chore. It provides the perfect lift to improve your shaving experience. Also, only a small number of razors offer the kind of grip this product delivers. These attributes put this classic straight razor in contention for the best straight razor on the market. This straight blade razor kit is not just for experienced users. If you’re just venturing into the world of straight razor shaving, this product might be what you need. It comes with a beginner’s guide which could be quite instructive especially at the early stage of your shaving experience. Finally, a money-back offer says a lot about the effectiveness of a product. If a firm doesn’t offer one, they are not so sure about their product. And if the company actually offers a warranty but fail to fulfill their end of the bargain, it says a lot about the integrity of their enterprise. Classic Necessity offers a money-back offer and seems to do a good job of refunding or replacing a product whichever the case might be. This is commendable. Parker Safety Razor is a family-owned business with a remarkable reputation. The firm has been in the business of providing grooming products to customers for more than four decades. Parker Safety Razor stands out for the quality of their raw materials. In a period when maximizing profit is the goal of every enterprise, this one strives to maintain its unique tradition of delivering products using genuine components. And all is done without the need to exploit customers through alarming prices. The Parker SRX straight razor has a lot of attributes going for it. One of the most obvious is its use of replaceable blades. Yes, it is not your vintage straight razor but it certainly cuts like one. This has it some benefits such as the zero honing and stropping skills required. Each Parker SRX straight razor comes with five single-edge blades. You wouldn’t have to purchase any blades initially but soon you will. To increase the chances of you getting off without injuries, the supporting part of the blade-end is curved and not sharp. 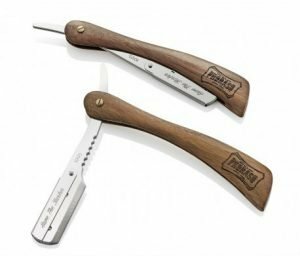 The professional straight razor can accommodate regular blades used by most barbers. It uses a simple locking mechanism consisting of three locks to ensure the blade stays in place. This is important considering the grave implications of a wobbly blade when shaving. Opening the locks is as easy as an upward adjustment of the latch holding the blades. Etched on the shank of the straight razor is the brand stamp, a cross of two arrows. This would usually tell you if the product is genuine or not. 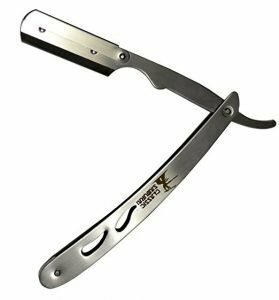 The entire straight razor is made of stainless. You can be sure this shaving tool wouldn’t rust any time soon. The Parker SRX straight razor weighs about 2.3 ounces. It is not exceedingly heavy but it sure does have some weight. This means you don’t have to exert pressure on the blade when shaving. This is the mistake many users are guilty of. If you do so, there’s a higher chance you could cut yourself. Using this Parker shaving tool might be complicated. Frankly, many have found it more difficult to use compared to a traditional straight razor. But it can be a lot less stressful. The trick is to know what works for the different segments of your face. Your chin, for instance, is more difficult to shave unlike other areas since you have to take the curves of each side into consideration. On appearance, the Parker SRX straight razor looks decent. Well, this is more due to the lustrous attribute of its stainless steel body. It is easy to clean and requires very little maintenance demands. Classic Samurai prides itself on delivering Japanese shaving quality through its grooming products. The Chinese company is well-known for its array of commodities which are affordable and without coming across as ‘cheaply made’. Since Samurai swords are the sharpest according to our history books, Classic Samurai intends to replicate such in their razors. This men’s straight razor is a mix of a stainless steel cutting segment and plastic scales. While this negatively affects the weight, it improves the grip you get with the razor. Also, you get a rust-proof razor which comes in handy when wet shaving. However, a more conscientious effort is required on your part due to the plastic scales of the straight razor. A disposable blade is essential here. They save you the stress of stropping and honing a blade; a practice common with the traditional straight razor. With your purchase, you get a pack of 100 single edge blades. There’s one drawback with this shavette – the insertion of the blade. It is not an easy task. You will need to dislodge the latch, set apart the ‘scissor’ parts, and place the disposable blade in the space provided. If you’re in hurry, this would come across as time-consuming. For a low priced shavette like this one, it certainly has a nice build. It wouldn’t put much weight on your hands. Its plastic handle is not so much a disadvantage since it delivers ample grip, an important asset when shaving. The only challenge is its durability. Using a straight razor with plastic scales wouldn’t be recommended if you need something long-lasting. Maintaining a straight razor is usually where the bulk of the work is. Besides getting one ready for a shaving exercise, you will need to take proper care of it. This will usually improve its durability. For this Classic Samurai straight razor, cleaning – one of the ways of maintaining a shavette – is easy. One problem which might require your immediate action is the rust build-up on the blade part of this razor. While this is supposed to be stainless steel, it is still susceptible to the action of moisture. If you decide to purchase this shavette, you will have to constantly wipe the blade, especially where the blade is inserted. Using a straight razor requires conscientious effort and some technique. Complaints about injuries are a general problem with the use of shaving tools of this nature. This shavette is certainly not an exception. However, when using this one, endeavor to give the razor more freedom. Don’t force it! By applying unnecessary pressure, you are increasing the chances of you nicking yourself. 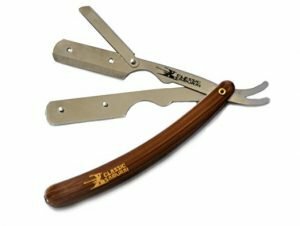 Finally, the Classic Samurai shavette is certainly a bargain worth taking especially if you have only just started your straight razor journey. Equinox International is a brand known for its affordable products. They have a wide array of such products to their name. The firm strives to ensure quality goods are within the reach of every customer regardless of their financial status. 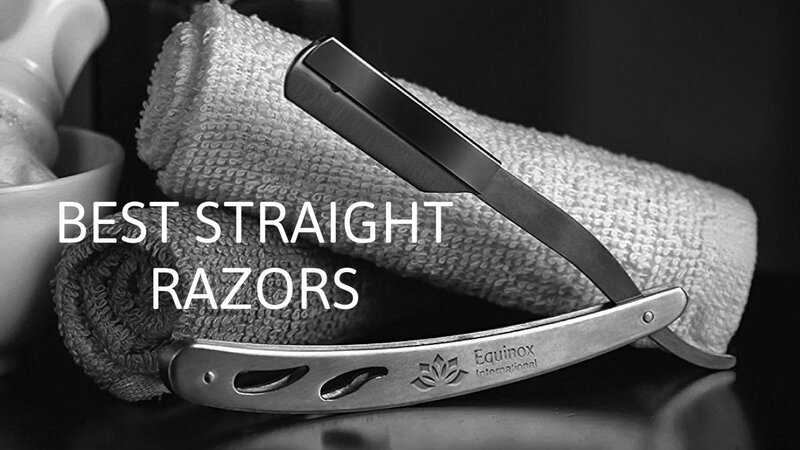 Like many of the products described earlier, this Equinox shaving tool is not a solid straight razor. It uses disposable blades. While this comes with the benefit of not having to hone or strop the blade, you will have to switch blades regularly. This adds to the cost of using such shaving razors. Initially, the 100 pieces of single edge razors should last you a long time, but this depends on the toughness of your facial hairs. They are sharp alright, so you will need to be careful when using the straight razor or switching blades. Wet shaving is known for its negative effect on metallic shaving tools. Rust formation is one the more notorious forms of damage done. To deal with this problem, the Equinox straight razor is made of stainless steel which is brushed to improve its general appeal. During shaving, you need the blade to stay firm. This can only be achieved if it’s well secured. The cutting segment of this straight razor has two parts. The lower one provides the stationary surface on which the blade rests. The upper part acts like a cover clasping the blade and limiting its movement. Once the blade is set perfectly between the two parts, a quick release clamp holds it in place completely limiting its movement. This ensures the blade doesn’t move around within its confinement and reduces the chances of you nicking yourself. The cutting segment is built so a fraction of the blade protrudes outwards improving improves the efficiency of the straight razor. Switching blades is as simple as sliding the clamp sideways which makes dislodging the blade possible. Normally, there’s an accompanying sound which indicates the parts are in their proper position so let your senses guide you accordingly. How you hold a straight razor can affect the quality of your shaving. Maintaining the right shaving angle is essential especially when shaving certain parts of your face. A straight razor with the perfect heft would make sustaining the tool at the right angle to your face possible. The Equinox straight razor puts up a surprisingly decent effort in this aspect. It’s not too heavy or exceedingly light. There is one little problem with this straight razor – it is not impervious to rust. Yes, it is made of stainless steel, but rust still forms where the disposable blade inserts. While this can be wiped clean, it could be a problem if you are not careful. The CS 102 straight razor is a product of Classic Samurai. The Chinese company is responsible for the production of several personal care products such as straight and safety razors. They are focused on delivering quality products at an affordable cost. There’s a reason why stainless steel is more suitable for shaving tools. Rust forms when a mix of moisture and air erodes a minute portion of the metal. While this is a slow process, it could lead to the total deterioration of the metal if left unchecked. However, if the quality stainless steel is used instead of an ordinary metal, the straight razor is protected against rust formation. The understanding of this concept possibly instigated the use of stainless steel in the manufacture of the Classic Samurai CS 102. This little alteration improves the durability of this straight razor. Shaving is practically impossible without a tool with a sharp edge. A traditional straight razor is equipped with a blade which requires consistent effort to get it primed and ready to use. This one differs. It has a cutting segment into which a random, single-edged blade fits delivering the required result. 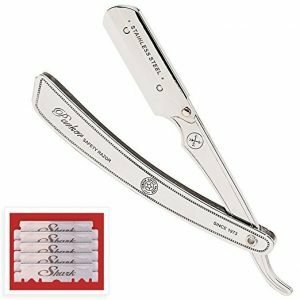 Besides the advantage of having to do little before shaving, the disposable blades are sharper than that on a traditional straight razor. Cuts are common among users. Provided with the CS 102 is a pack of 100 pieces of single-edged blades. Well, for a long time you might not need to purchase any additional blades. Inserting a disposable blade into this stainless steel straight razor is a little difficult. You will need to detach the latch from the side of the cutting segment. Afterward, pull apart the two sides responsible for anchoring the blade. On the surface of one of these sides, are two knobs which support the blade. With the blade well balanced on the knobs, you will have to use the side without the knobs as a cover. This is the tricky segment since you need to hold on to the blade with one of your fingers to prevent it from slipping. If successful, a minute fraction of the blade can be seen just outside the confines of the cutting segment. With that out of the way, leverage the lever in supporting the position of the blade. This process is rather complicated and might be frustrating for many. The weight of this high-quality straight razor is one of its strength. 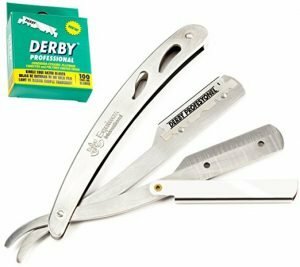 Unlike similarly affordable shaving razors with plastic handles, this straight razor is all stainless steel. Besides durability, this maximizes the little effort you put in towards achieving a close shave. If you’re looking for an affordable straight razor capable of offering a decent shaving experience, the CS 102 might be worth a look. It has also received positive remarks from professional barbers who currently use the straight razor. 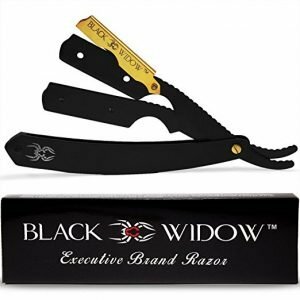 Black Widow Executive Brand Razor targets professional barbers with its range of grooming products. The company’s objective is to ensure only the best tools are delivered to those in dire need of such. Like every business enterprise, this one asserts its products are made from premium quality materials and they go through the toughest manufacturing process to ensure the final users get only the best. No doubt, it’s certainly a bold claim, but it’s left for users to decide the accuracy of such an assertion. Like the other straight razors considered earlier, this shavette is made of stainless steel. Professional barbers will find this handy since it boosts the durability of the shaving tool. Sterilization and other processes needed to guarantee the safety and satisfaction of customers often put a strain on straight razors made from high-grade steel. With this straight razor shaving kit, a barber can carry out all those routine procedures without having to worry about the performance of the shaving tool waning. Typical of a shavette, this shaving tool uses disposable blades. All you have to do is purchase a disposable blade, insert it into the ‘scissor’ arrangement, and use. It might appear simple, but it’s not. This shavette uses the same blades as the Classic Samurai. However, unlike in the latter, a larger fraction of the disposable blade is exposed – 1.5 mm precisely. This might be wary for beginners, but professional barbers and more experienced users can use this to their advantage to improve the quality of a cut. Besides the level of blade exposure, this barber straight razor stands out through another attribute – its shank. Handling of a straight razor is only possible through the shank. To improve on this vital area, this shavette has ridges along the entire length of its shank. There’s also a notched area for your thumb; boosting how you handle the straight razor. Few straight razors are capable of catching the eyes like this one. A combination of the matte black color of the razor and the gold-colored latch gives this Black Widow shavette an elegant appearance. It is certainly a progressive transition from the mundane look most people are used to with a straight razor. The weight of a straight razor can affect its performance. This shavette has a weight of 2.6 ounces. It is not lightweight. You will not have to expert more pressure to achieve a close shave. Neither is it heavy which could strain your arm and make handling difficult. Its weight gives you more control which is needed for a quality shaving experience. Finally, this Black Widow represents value. If you are looking for both performance and style, this straight razor might be what you need. The Utopia Care brand is managed by the retail giant Utopia Deals. They are responsible for a wide range of products from kitchen utensils, bedding materials, personal care products, and several others. The company has its headquarters in the United States while maintaining some presence in three other countries: Canada, China, and Pakistan. This could explain why this Utopian Care straight razor is made in Pakistan. The choice of metal in a shavette could dictate its durability. Stainless steel is one alloy used extensively in the production of shaving tools. One reason for that is its strong resistance to the action of moisture. With this important discovery, just about every shaving tool including Utopian Care straight razor is made from stainless steel. This product is a typical shavette. It uses disposable blades to bring about the ultimate shaving experience. 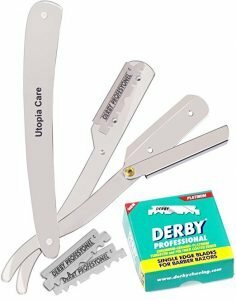 The Utopia Care straight razor comes with a pack of 100 single edge blades. To insert a blade, you will need to pull out the latch. Afterward, dislodge the two blade holders from the position. Two knobs are prominent on the surface of one of the holders, this should support the blade. After inserting the blade, return the blade holders to the original position. Use the latch to grip the blade by moving it to its base behind the ‘back’ of the blade holders. Frankly, this is the same principle used by most shavettes in switching disposable blades. One significant attribute of this straight razor is its rounded point. This reduces the probability of you cutting yourself. It also gives you more freedom without having to worry about the consequences of using a sharp point. Weight is one attribute which has a significant effect on a shavette. The Utopia Care straight razor weighs just about 2.5 ounces. Much of this comes from the scales of the shavette. The cutting segment is much lighter due to the nature of stainless steel. When using this straight razor ensure you don’t apply excess pressure. This will only increase the chances of you cutting yourself. The use of straight razors is more about technique than brute force. Also, always remember to hold the shavette by the shank and the back of the blade. There are few worrying things about this razor. The angle of the inserted blade is one of such. It is positioned in a manner which might improve precision but it’s more dangerous especially if you’re not careful. Finally, the disposable blades provided get blunt quickly. They start sharp but this tends to fizzle out abruptly. The Utopia Care straight razor represents immense value. Its price and the quality of the shaving experience it delivers are an awkward match. If you don’t intend breaking the bank for a straight razor, this shavette should be on your radar. As reiterated earlier, Parker Safety Razor is a family business. The company started out with the production of safety razors. Like every enterprising organization, they expanded their craft to cater for the teeming straight razor customers. Parker Safety Razor displays an amazing trust in their products through their ‘leading by example’ approach. This is a rare phenomenon among manufacturers of consumer goods. The Parker SR1 has the typical attributes of a shavette. Its blade segment is made of stainless steel. This should restrict the damage usually done by moisture to such tools. This parker straight razor uses disposable blades. You won’t have to worry about stropping or honing a blade. Just get on with the shaving already! But you have to insert the blade first. To do that, you will need to dislodge the latch visible on the side of the metal bars. Next, you detach the two metal bars of the cutting segment. On the surface of one of the bars are two knobs. These create a barrier preventing the blade from slipping out. Once the blade has been inserted, the metal bars which constitute the razor are put together again. The latch is pushed back into place holding the entire arrangement together. The problem with custom straight razors is the complement blades get blunt quickly. You will have to switch them often. While the Parker SR1 comes with 5 single edge blades, these might not actually last a week! Also, switching blades frequently affect the mechanism of the straight razor. It certainly will not last long enough if you constantly switch the blades. Another significant attribute of this barbershop razor is its weight. You certainly don’t want a straight razor which would put some strain on your biceps. There’s a gym for that. A lightweight model is certainly not the better option since you will have to do all the work. The perfect weight for the best barber razor occupies the gap between the two extremes. This barber razor has something close to that. It gives you control without having to burn calories on a mundane task. Besides all the positives, this Parker shavette has its share of negative. One of such is its handle. To be the best straight razor for barbers, scales are vital due to the amount of control they afford a user. This SR1 has its handle made from a poor quality plastic material, chrome-colored possibly to deceive potential customers. The scale of a straight edge barber razor serves the same function as a garage to for a car – it houses the razor. Usually, when you swing the razor, it should find its way into the scales. Well, with the SR1, it’s a different result entirely. The blade always hits the scales and stay out. While this might be negligible, it points to how attentive to detail this company is. If you’re looking for a dependable shavette, this Parker razor would the job without much stress. Sanguine Scissors specializes in the production of grooming products. The company tries to stand out by taking a different approach to meeting the needs of its customers. One significant attribute of this business outfit is their dynamic nature. Few companies are known to willingly try to improve their products like this one. The Sanguine R5 has a stainless steel cutting segment. You can consistently carry out your shaving routine without having to worry about rust formation. With the steel arm, the incidence of unwanted vibrations is far reduced. Just like the others, it uses a barber razor blade. It comes with 5 pieces of double-edge blades. You will need to snap these into the single edge forms before using them. Inserting the blade is a rather straightforward activity. You can unlock the blade bars using the secure cap visible on the side. With the two bars separated, place the single-edge blade on the horizontal bar supported by the two well-spaced knobs. Subsequently, close this area of the razor using the latch. This shavette stands out mainly for its handle. It is actually a single piece of wood hollowed out to accommodate the blade segment of the razor. It is untreated and free of any chemical preservative whatsoever. This makes it more susceptible to getting worn out especially, by the chemicals in shaving creams. There’s also the problem of damage common with a regular use of the shavette. Grip counts when using a replaceable blade straight razor. It could improve the precision of your shaving exercise. The shank of this product has small indentations which should improve its grip. Sadly, these grooves are too shallow to actually amplify your hold on the shank. With a weight of about 1.7 oz, this shavette is not heavy. However, you won’t have to apply more pressure when shaving. The scales are connected to the blade via a brass screw. You can easily adjust this screw for a less rigid motion of the blade on the pivot. The problem is that the screw comes loose with constant use. You will need to tighten the screw frequently. This creates more work for you. Parker Safety Razor is well known for their wide range of grooming products. The enterprise had a modest beginning. But they have since evolved into a giant in the industry. Parker uses quality raw materials in making their products. This can be confirmed by the number of people who use them. Like any straight razor, the Parker SRW consists of two major segments: cutting/blade segment and the scales. 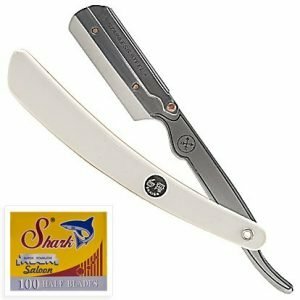 The best straight razor for barbers posses a stainless steel blade segment and this parker shavette has that. This forestalls rusting, a chemical process notorious among metals exposed to moisture. It has two arms held securely in place by a visible clamp on the side. The point of the blade segment is rounded. You would cut yourself less frequently due to the seemingly small alteration. This best straight edge razor uses disposable blades. You will need to insert a single-edge blade into the designated area of the cutting segment. Doing that is rather easy. Detach the arms of the shavette. The clamp on the side makes that an effortless task. Afterward, place the blade in the space visible using the two knobs as significant landmarks. Once the blade is in position, push the arms of the razor into place while using the clamp to hold the arrangement together. Unlike many others, the scales of this shavette are made from a resin material (plastic). It might not have the durability of similar models like the Parker SR1, but its balance and control are much better. However, you need to know what you are doing to actually enjoy using this best straight edge razor. A weight of 1.4 lbs points to the lightweight nature of this razor. The grip is beyond average for a shavette. This razor represents value for money if you’re looking to buy a straight razor. All the reviewed straight razors are impressive. They are capable of delivering a remarkable shaving experience, adequately built, and affordable. However, the Classic Samurai CS 102 dwarfs the other shavettes in various areas. Its design, performance, and functionality are certainly above average. You certainly can’t go wrong with this razor.